Rachel Ellis was born and raised in the Tulsa area. Dancing has been a part of Rachel’s life since she was two years old. She received training in tap, ballet, and jazz throughout her childhood. She then continued her dance education in college at Brigham Young University. While at BYU, she was a part of the Folk Dance Team and didn’t let a semester pass without taking a dance class while she was working on a degree in Early Childhood Education. After two years at BYU she returned home and finished her Early Childhood Degree at Northeastern State University. During this time, Rachel was married and started a family. She and her husband are the proud parents of four beautiful children. 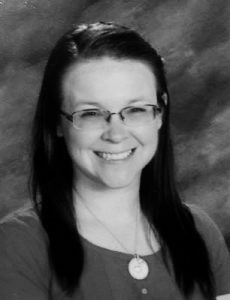 Rachel has taught Pre-K, 1st, and 2nd grades for Broken Arrow Public Schools for the past ten years and was named Spring Creek’s Teacher of the Year in 2012. She has been teaching dance for the past 15 years. She has taught tap, ballet, jazz, creative, and tumbling. She has taught all ages but specializes in the younger classes and puts her Early Childhood degree to work! 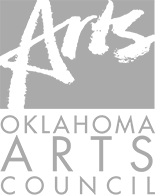 She enjoys teaching Creative Movement, Prep, & Jazz Classes for the Tulsa Ballet Center for Dance Education.